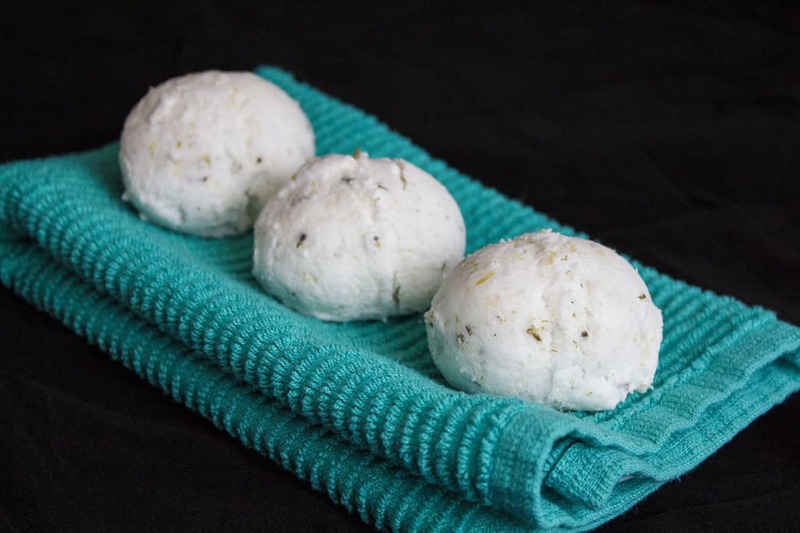 Are you wanting to learn how to make Homemade Bath Bombs? 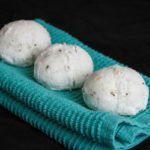 This post will give you a step-by-step instructions so you can make luxurious homemade bath bombs with little effort! The recipe below was developed with the intention to keep the ingredients and the process as easy and accessible as possible. I actually managed to whip up a batch of 10 of these guys, after 8 hours of work, before I made dinner… and it wasn’t even hard! It took a total of 5 minutes (not including snapping pictures), and 1 hour later, I was testing them out in my daughter’s nightly bath. 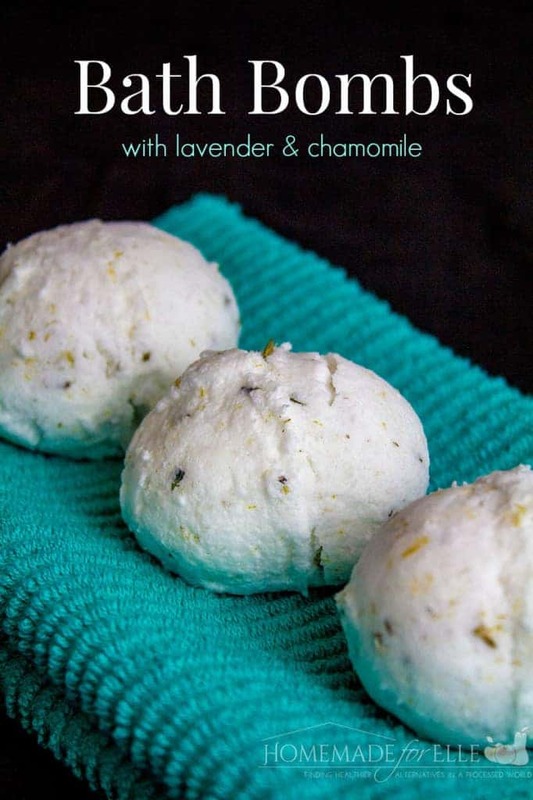 DIY Bath Bombs… they’re like a beauty salon in your home. YOU can make these. 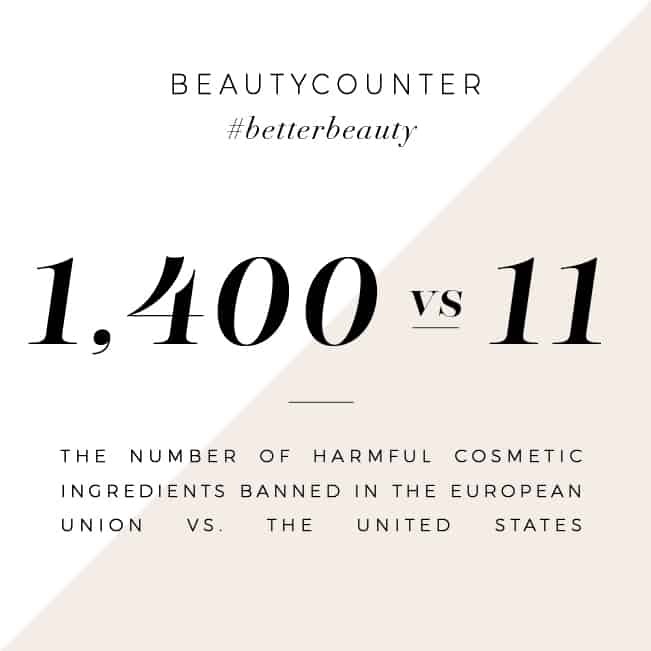 You may already have most or all of the ingredients in your kitchen. It doesn’t require gloves, special containers or a highly polished skill set, these are EASY to make! And, can I also mention that they smell absolutely amazing. Like, forget-you-had-the-worst-day-of-your-life-because-oh-mmm-gee-these-smell-so-amazing-I-just-want-to-relax amazing. But that’s what I’ve come to expect when you pair lavender with chamomile. And a little bit of coconut oil. Amazing smells, rich moisture, and a zen-like experience. Go ahead… treat yourself. Make these, grab a glass of wine, and indulge in a nice warm bath. Or be selfless, and make them for your friends and family for Christmas. But I would buy the material in bulk, because they’re going to come back, asking for more! In a large bowl, combine baking soda, citric acid, epsom salt and cornstarch. Add in dried herbs if using them*. Mix well to get any clumps out. Add in essential oil and coconut oil, and give it a good whirl. Slowly add in water, stirring after each addition. It’ll fizz a little as you add in the water. *The dried herbs add some extra subtle fragrance and some nice color (without having to use food dye). They do, however, make the bath a little messier, so just a word of caution. Want to print this recipe to hang on your fridge, scrapbook, or share with a friend? Here is a printable version for you! In a large bowl, combine baking soda, citric acid, epsom salt and cornstarch. Add in dried herbs if using them*. Mix well to get any clumps out. Add in essential oil and coconut oil, and give it a good whirl. Slowly add in water, stirring after each addition. It'll fizz a little as you add in the water. Save this to your favorite DIY Beauty Board on PInterest so you can access it anytime you’re in the mood to make DIY Bath Bombs! Just click no the image below to repin it! Do you love baths? Here are some other fun ways to elevate your bath to make it a spa-like experience! I just picked a bunch of lavender at a farm the other day! That would be awesome with these. Oh wow. Thank you for this! I’ve been wanting to make some with my kids> they will surely love this. 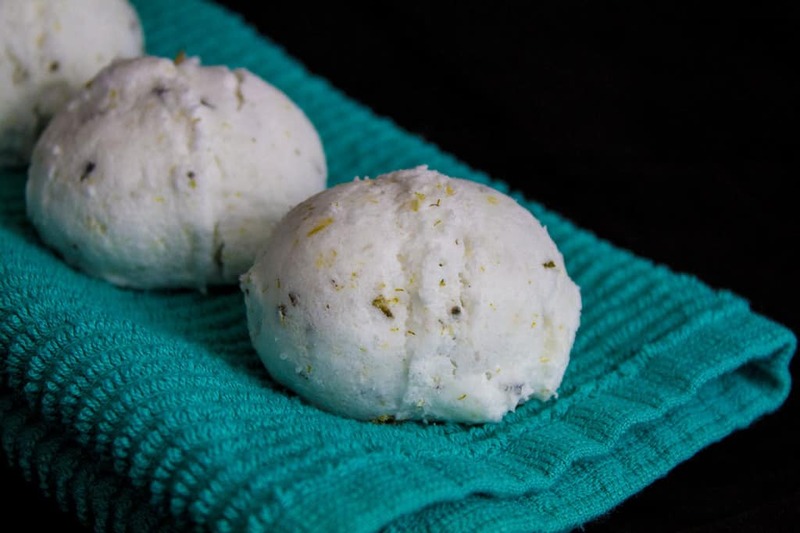 I love bath bombs, and i’m always curious how to make it. 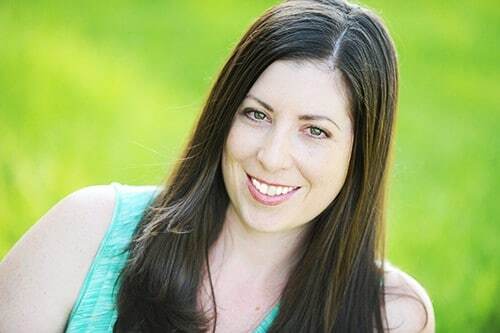 Thanks for sharing your DIY! My kids are obsessed with bath bombs. We tried to make them once and I failed. I have been wanting to make bath bombs for some time now. You make it seem so easy and it would be a great project for my daughter and I. This is such an awesome idea! I love bath bombs, and being able to make them myself is all that much better with such easy steps and great ingredients. Just made a batch with some lavender flowers, and roses that I had left over from the garden this summer. I can’t wait to try them in the tub! If all goes well, this will be among my Christmas gift to friends and family. As far as the flowers making a mess, lavender is so therapeutic, it’s totally it! 🙂 They turned out beautifully! Thanks!